In this personal, eloquently argued essay - adapted from her much-admired Tedx talk of the same name - Chimamanda Ngozi Adichie offers readers a unique definition of feminism for the twenty-first century, one rooted in inclusion and awareness. Drawing extensively on her own experiences and her deep understanding of the often masked realities of sexual politics, here is one remarkable author's exploration of what it means to be a woman now - an of-the-moment rallying cry for why we should all be feminists. What does 'feminism' mean today? 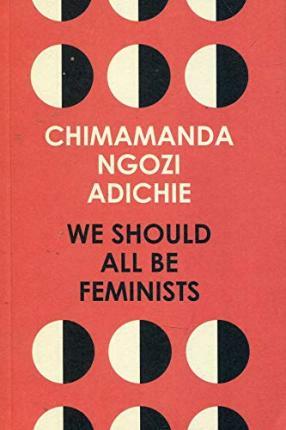 That is the question at the heart of this personal, eloquently-argued essay by Chimamanda Ngozi Adichie, the award-winning author of 'Americanah' and 'Half of a Yellow Sun'. Chimamanda Ngozi Adichie was born in Nigeria in 1977. Her first novel `Purple Hibiscus' was published in 2003 and was longlisted for the Booker Prize. Her second novel `Half of a Yellow Sun' won the 2007 Orange Prize for Fiction. Her short story collection, `The Thing Around Your Neck', was published to critical acclaim in 2009. Her work has been selected by the Commonwealth Broadcasting Association and the BBC Short Story Awards, has appeared in various literary publications, including Zoetrope and The Iowa Review. She won a MacArthur `genius' grant in 2009, and in 2010 appeared on the New Yorker's list of the best 20 writers under 40. Her third novel, `Americanah', was published to widespread critical acclaim in 2013. `Half of a Yellow Sun' is now a major feature film, `Americanah' is in production. She lives in Nigeria.